The Danielewicz brothers were born in Prussia: Joseph (b. 1823), Gustave (b. 1825), and Julius (b. 1839), and Samuel (b. 1841). The brothers journeyed to America in the 1850’s. From 1858 to 1881, the Joseph, Gustave, and Julius rented and sold these properties to numerous Jewish proprietors who came to California during the Gold Rush. 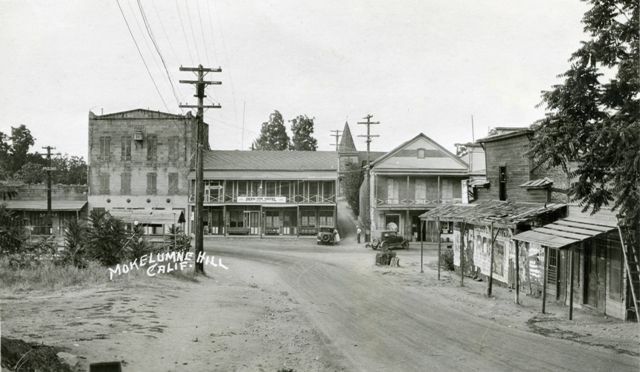 In Mokelumne Hill in 1858, Gustave and Julius Danielewicz built two stores on Main Street. The Danielewicz’s former property, which was combined into one store by the Sauve family in 1910, is a designated historical building located at 8317 Main Street. Samuel Danielewicz (1841-1926) went to San Francisco. Around 1862, Joseph and his family left Mokelumne Hill for San Francisco. There, he worked as a dry goods merchant at 516 Sixteenth Street. At the same time, Gustave and his family, including younger, unmarried brother, Julius, moved to Sutter Creek in nearby Amador County. In 1872, David Danielewicz, the son of Gustave and his wife, Henrietta, died. He was buried at the Pioneer Jewish Cemetery in Amador County. 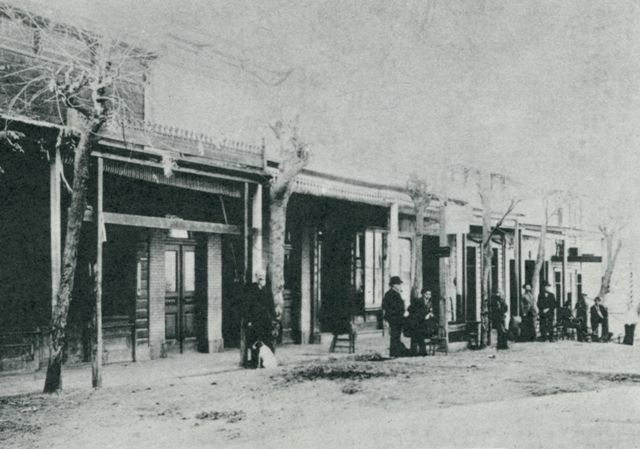 During the 1890’s, Gustave and his family relocated to Oakland, California, sans Julius, who remained in Sutter Creek. Rosa Danielewicz, Gustave’s daughter, became a successful poet, writing and illustrating three books: Rose Petals (1911), The Birth and Growth of a Soul (c. 1918), and Logic and Love – Poems of Peace (1924). The Birth and Growth of a Soul contains a poem dedicated to President Woodrow Wilson. In 1881, Julius Danielewicz filed a claim for a mine in Amador County. By 1887, the claim was still active. In 1902, after Gustave’s death, Julius moved to Oakland to live with the family. Joseph Danielewicz married Pauline Posner. They had four children: Isidor, Mary, Rachel, and Amelia. Joseph died in 1905 in San Francisco. Pauline predeceased him in 1887, also in San Francisco. They are buried at the Hills of Eternity Memorial Park in Colma, California. Gustave Danielewicz married Henrietta Glickman. They had five children: David, Rosa, Samuel, Emma, and Carrie. Gustave Danielewicz died in Oakland in 1899. Henrietta died in 1913, also in Oakland. They are buried in the House of Eternity (Jewish Section) of Mountain View Cemetery in Oakland, California. Samantha Silver is curator of this Danielewicz Brothers exhibit. 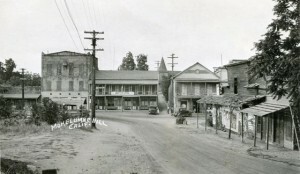 The Hebrew ladies of Mokelumne Hill have formed themselves into a benevolent society — the object of which is to extend aid to all of their people who may stand in need of it, to watch over and comfort the sick and to do such other acts of kindness and charity as their loving hearts may suggest.